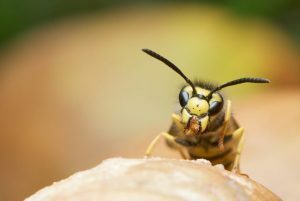 As the summer holidays will now be behind us shortly, we at PESTUK look forward to the remainder of the year and the upcoming pests in September that we will be contacted about. There will likely be an increase in callouts for these pests due to the summer holidays. When the bed bugs brought back in suitcases from hotels abroad start to be noticed. Compared to the other main biting insect pest, fleas, bed bugs are a much slower developing problem and it is often months from the infestation being introduced to the time that we are called out. Compared with other pests, we deal with spiders much less. However in Autumn the numbers of calls will increase. This is due to spider population numbers peaking in the Summer and then as the days get shorter and the weather colder they move into buildings for light and for warmth. 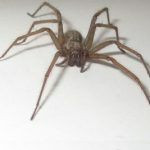 The treatment we carry out for spiders is to apply a residual insecticide to walls, ceilings and around windows. This reduces but will not eliminate the problem. With fleas the population usually peaks in the Autumn but there are other factors that make flea calls more common around this time of year. There is a peak in numbers due to holiday travel. 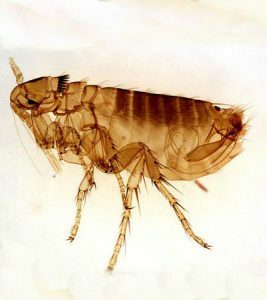 People return from holiday and the fleas haven’t eaten for a week or two and as soon as people and/or pets return to the house there seems to be an explosion of fleas. Also in the warmer weather cats will spend more time outside in the sun. The warmth speeds up the metabolism of the fleas making them more hungry, with the cat not in the house the fleas will then feed on people. PESTUK are full members of the BPCA, the governing body for professional pest control in the UK. All our technicians are fully insured, fully trained and CRB checked. Call us on 0330 100 2811 to book an appointment regarding pests in September or any other pest problem you may have.